Our lovable “trucos” have become colorless grumpy, scary and whiny, but you and your family can tickle the color back into them. Beware! The “trucos” have spent so much time without physical contact the slightest touch will produce tickles! 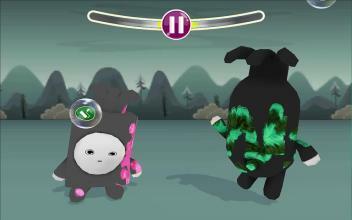 So they will move and make funny sounds making the game challenging and fun. 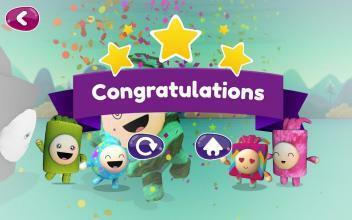 Color Me Tickles™ is not a game for playing alone, but quite the opposite: It’s meant to be shared as a family! Accompany your children during their first interactions with mobile devices, while having fun in the process. Much more than a simple painting game, Color Me Tickles™ seeks to encourage interpersonal interaction beyond the digital medium, where players must share the device, negotiate and make joint decisions to enjoy the game fully. Thinking about the safety of your children and your peace of mind, this is game free of advertising and in-app purchases. Color Me Tickles™ is meant to strengthen ties within families, not to turn children into consumers. 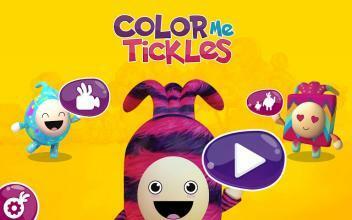 *** Color Me Tickles™ is available in English, Spanish and Portuguese. *** Learn more at: https://www.colormetickles.com *** Color Me Tickles™ is a game created, developed and published by Muxbit S.A.S. At Muxbit we work for all those parents and caregivers who recognize the importance of accompanying children in their introduction to digital technologies. Our commitment is to produce safe and quality content that encourages healthy, respectful and fun interaction among different family members. 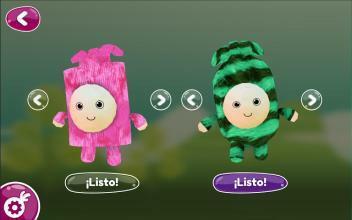 Our first game, Color me Tickles™, has the vote of confidence from the national government of Colombia, delivered through the “Crea Digital 2017” grant by MinTIC (Ministry of Communication and Information Technologies) and MinCultura (Ministry of Culture). *** If you liked the game, help us by writing your opinion here. 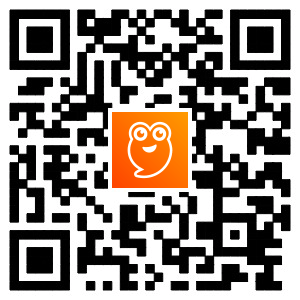 This way we can improve and develop new applications especially for you. Thanks!